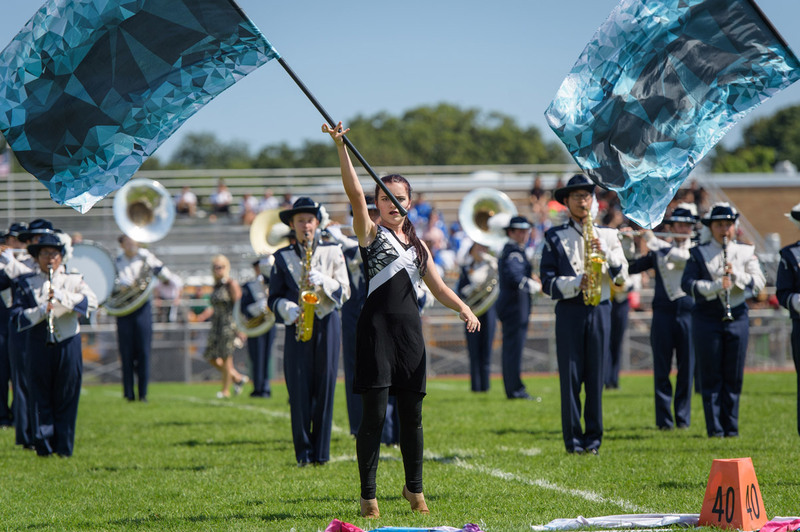 The Huntington High School Blue Devil marching band is in the midst of another stellar campaign. The group has been notching season-high scores at a string of consecutive competitions, with most resulting in a first place finish. 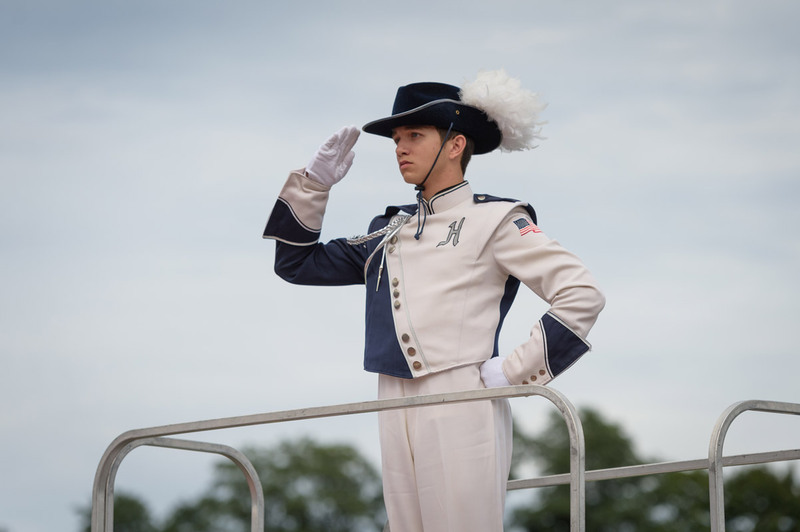 The Blue Devils are led by drum majors Katie Riley, Mathew Hearl and Jennifer Low and field major James Obermaier. This year’s field show is titled The Power Within. Huntington has competitions remaining at Sachem and Mineola. 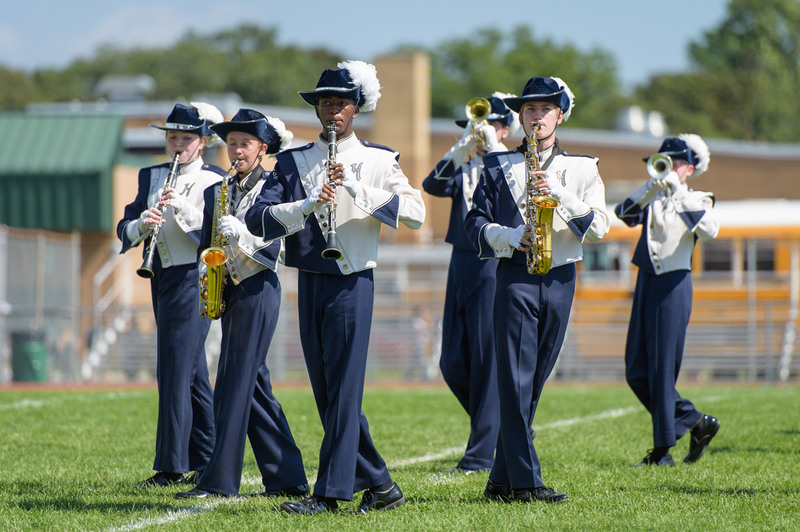 The band will also be marching in the Homecoming Day parade on Saturday, October 20 and will perform at halftime of the varsity football game that same day. 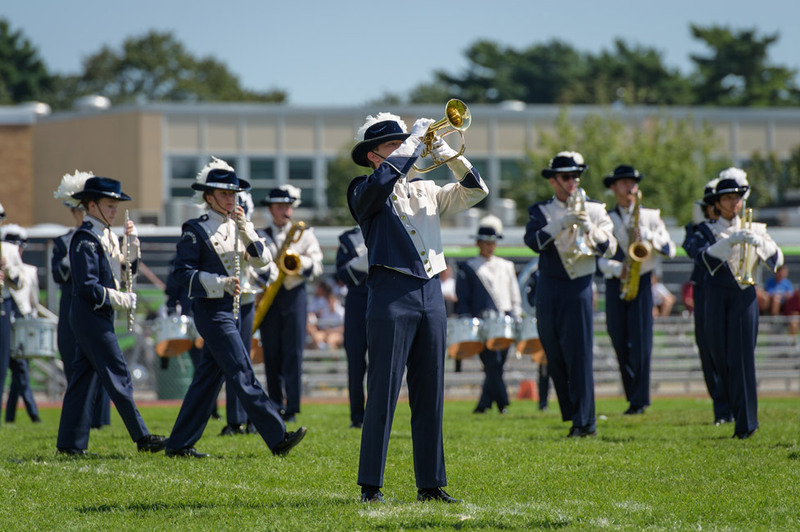 The New York State Field Band Conference championships are set for Saturday-Sunday, October 27-28 at the Carrier Dome in Syracuse. Jennifer Schmelter and Patrick Neary are the band’s co-directors. Rich Guillen is the music arranger. Jason Giachetti is handling percussion arrangements and the battery and pit designs. George Nelson is in charge of drill design. Mallory Martilla and Patrick Neary are handling the color guard design. The battery instructors are Sudwip Debnath, Derek Schmelter and Jarod Sullivan. Chris Wink is the brass instructor. Mallory Martilla is the color guard’s instructor. Corina Antonucci and Sean Lucas are pit instructors. Sudwip Debnath, Dan DeOliveira and Jarod Sullivan are visual instructors. Katherine Adams is the band’s woodwind instructor. Brian Stellato is also serving as an instructor as well as the band’s coordinator. 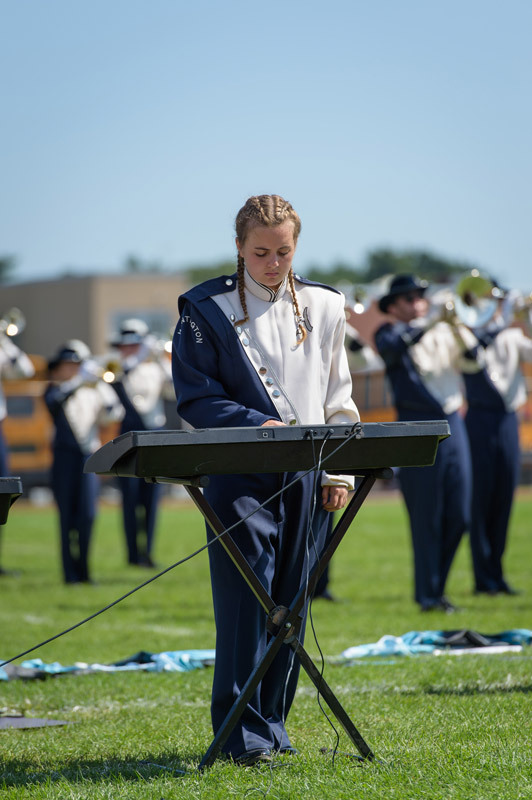 Everyone associated with the band is pulling even more closely together to make the last three weeks of the competitive season something special.